Ask a Therapist: What’s a typical day like in rehab? 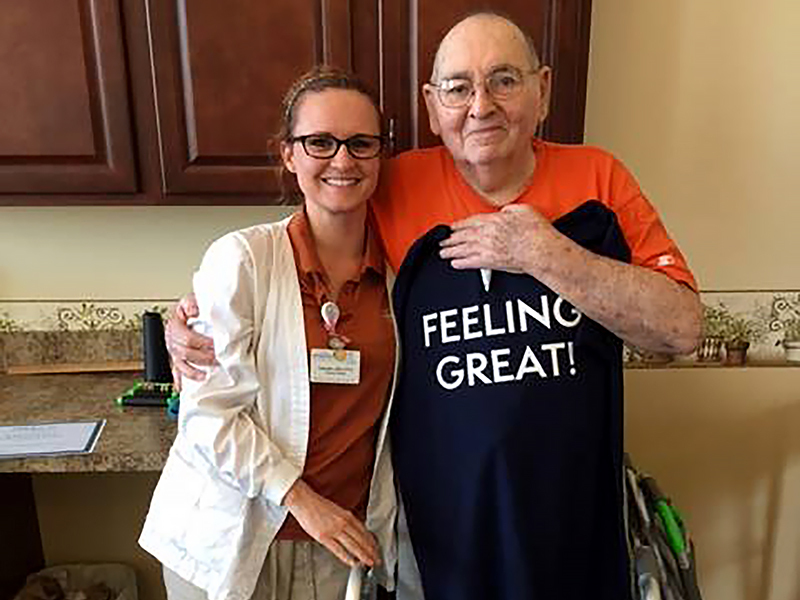 At Paragon Rehabilitation, our primary goal is to provide the best quality of care to our patient, and our experienced therapists will ensure that each day spent with us is a busy, productive one! A typical day with our therapist will be spent assessing your current status and setting rehab goals. Most patients have skilled therapy a few hours each day, 5-7 days per week (based on medical diagnosis and medical stability). The occupational therapist may also work with you a few days each week to focus on your goals related to self-care and activities of daily living. You will visit the therapy gym most days to focus on strengthening and mobility to help you regain your baseline level of function with both PT and OT. The gym is a fun place to work with your therapists as you are cheered on by others and you can encourage your peers as well. You will quickly feel like part of the “family”! Some patients also have speech therapy to focus on swallowing function, speech, language, voice, and memory and thinking skills as well. In between these therapies, you will be served meals in the formal dining room — nutrition is an important part of the recovery process. Your nurse will assist you with your comfort to allow the most successful therapy sessions. During your rehab stay you can also partake in the many activities that are offered at the facility including: music entertainers, movies, arts and crafts, outings, and of course BINGO.